This post is sponsored by McCormick in conjunction with a social media campaign through Sunday Supper LLC. All opinions are my own. Jambalaya Salad Bowl was created as a part of this campaign. 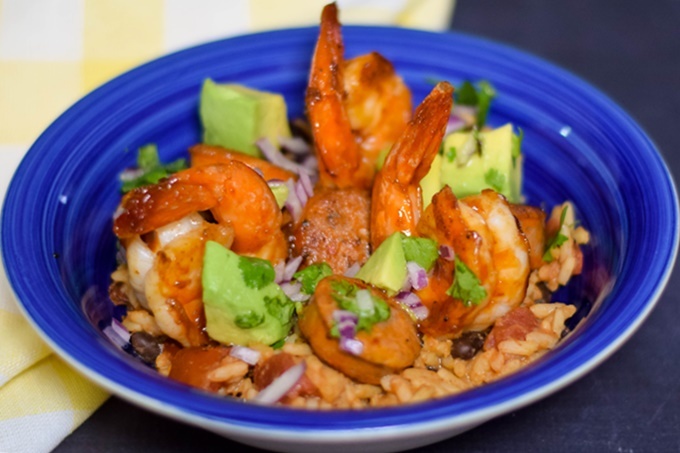 Barbecue Shrimp and Chicken Andouille Sausage paired together on a bowl of Zatarain’s Jambalaya Mix, Original flavor rice and topped with an Avocado Salad. 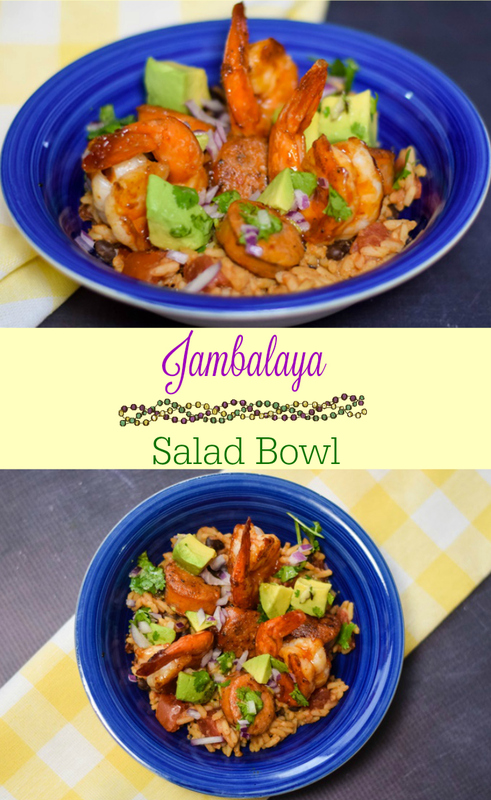 This Jambalaya Salad Bowl is a delicious and different way to celebrate Mardi Gras! I’ve never been to New Orleans, but it is on my bucket list to visit this city of intrigue and mystery. The festivities that surround the city at Mardi Gras is something I would love to experience! I imagine the food and celebrations would be unforgettable and amazing. I imagine a foodie heaven filled flavor and textures. Grumpy and I love our food full of flavor and this Jambalaya Salad Bowl hit the spot to perfection for us. When I told some of my co-workers what I was going to be making, I was told that they would gladly take leftovers. The problem with that was, there were no leftovers! I made up for it by taking them the Nutella Skillet Brownies. I think I was forgiven slightly forgiven. Since Grumpy and I both work long days, I wanted to make a quick and easy recipe. I decided to start with the Zatarain’s Jambalaya Mix, Original flavor, and created a salad topping that came together real quick! While the rice was cooking I prepped the avocado salad with some lime juice, cilantro and red onion. I separately cooked the bacon, then the chicken sausage and lastly the shrimp. I then tossed the shrimp in some spicy barbecue sauce. By this time the rice was ready! I assembled my salad with a bed of rice, then topped with some shrimp, sausage, and bacon, then topped it all off with the fresh avocado salad. 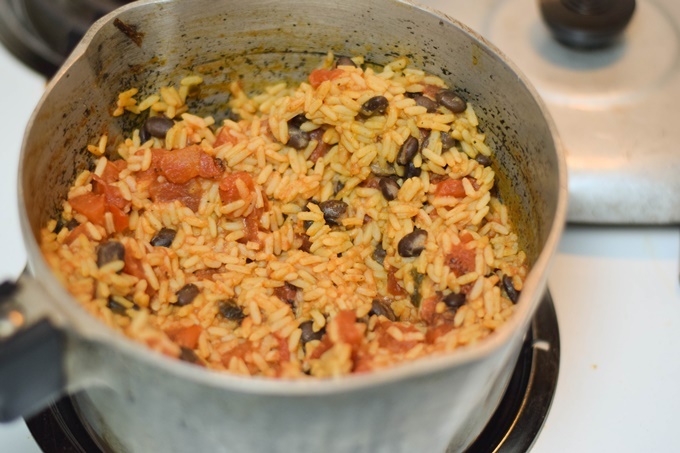 A delicious and satisfying meal for any night of the week! 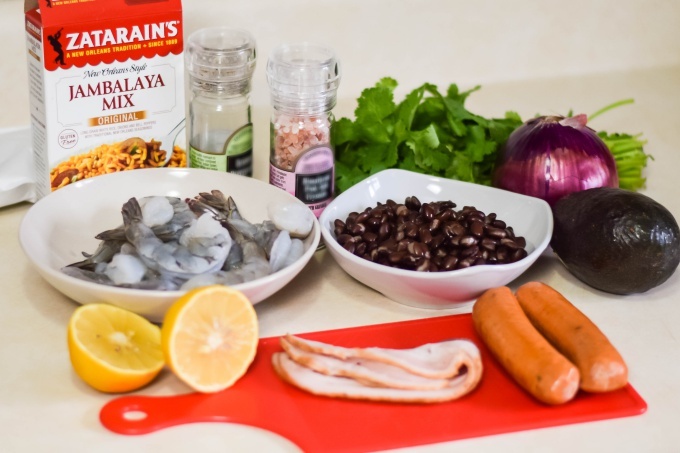 What recipe would you make with Zatarain’s Jambalaya Mix to celebrate Mardi Gras at home? Follow Sunday Supper’s board Jambalaya Recipes featuring Zatarain’s Mixes and Creole Seasonings on Pinterest. Want more of Grumpy’s Honeybunch? Follow me on my social media channels! Cook Zatarain’s Jambalaya Mix, Original flavor according to package instructions. In large skillet, cook diced bacon until crisp. Remove from pan and set aside. Add chicken sausage to pan and cook until warmed and slightly crisp around the edges. Remove and set aside with bacon. Add shrimp to skillet and saute until opaque. 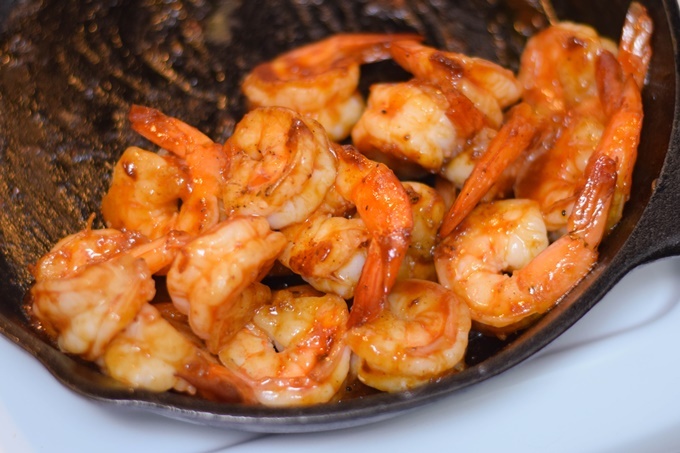 Stir in barbecue sauce to coat shrimp. Remove from heat. 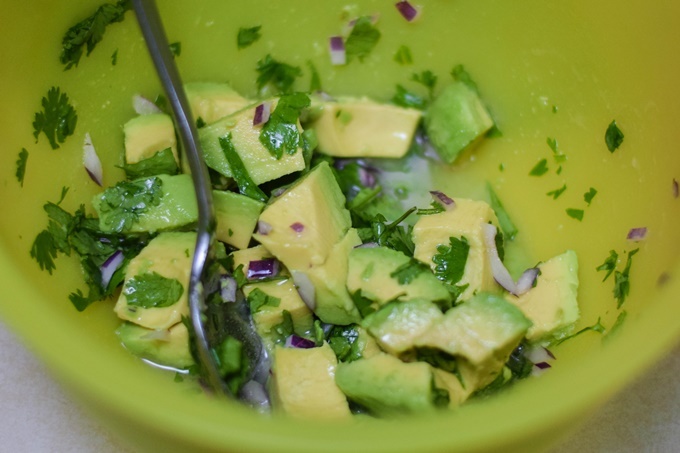 Prepare avocado salad by tossing avocado, cilantro, lime juice, and red onion. Add salt and pepper to taste. Assemble salad by layering with rice in bottom of bowl, topped with the chicken sausage, shrimp, and bacon. Then top with avocado salad. Serve. This week twenty Sunday Supper Tastemakers have created recipes for Zatarain’s to help you celebrate Mardi Gras in style this year! Be sure to check them out below before you go! I love that you turned jambalaya into a salad bowl. What an inventive idea and perfect for lunch or dinner. This is the kind of salad I’d love to order at a restaurant—but so glad I can make it at home!!! I love jambalaya so this sounds awesome. Never go wrong with this dish. We just had a jambalaya last night, too! This looks wonderful! I love the combination you came up with – using the avocado. Will try this! I have never been to New Orleans either, it is on my bucket list also. I love the idea of making a salad bowl with the Jambalaya. I bet the avocado adds a wonderful creaminess to the dish. This looks amazing! What a delicious bowl of jambalaya! You packed many amazing flavors and great ingredients into this salad bowl. 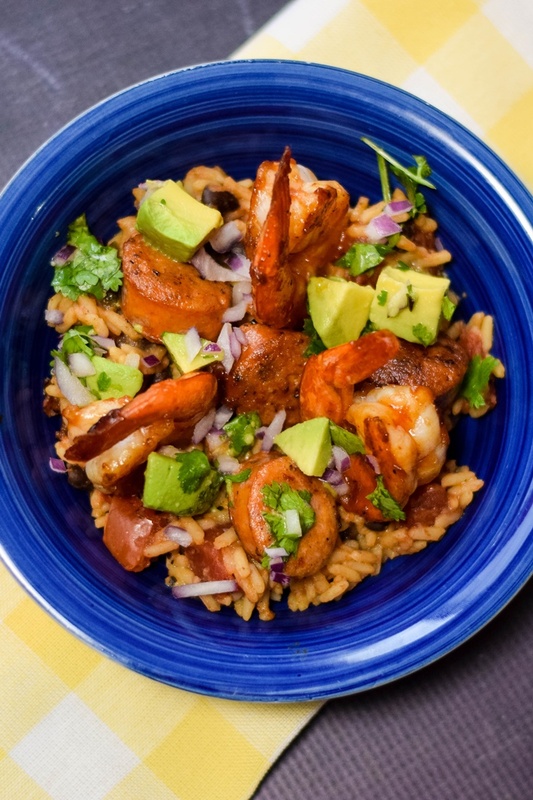 I love the bbq shrimp, black beans and avocado with the spicy rice and sausages. Great recipe!! 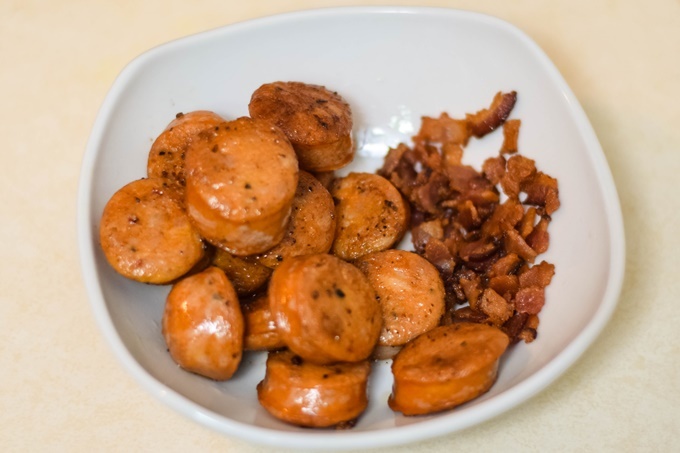 I’m always looking for healthy ideas the family will love! This nails it! Bacon, Sausage, AND shrimp? Ohhhh this is my kinda salad!! !